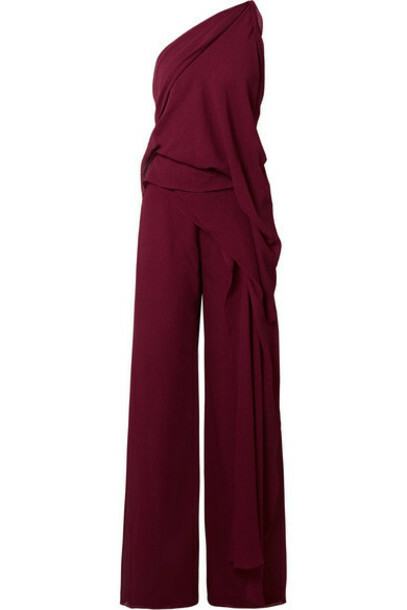 There's something so inherently confident about a woman in a jumpsuit, and Roland Mouret's 'Nettleton' version is such an easy and elegant one to pull off. Made from tactile silk-crepon, this one-shoulder style is expertly designed with the label's signature draping and finished with a subtle back cutout. The knee-high side splits add beautiful movement with each step.